Plainview, NY Rechler Equity Partners hosted its annual award ceremony to honor the real estate brokers who contributed to the company’s continued growth throughout 2018. 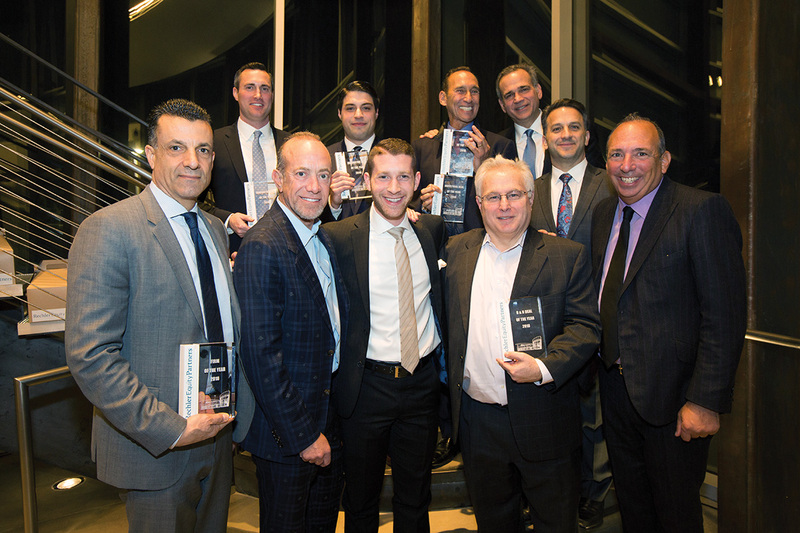 The event— held at Rechler Equity’s headquarters — brought together individuals from the commercial real estate industry to recognize their accomplishments in accumulating more than 688,000 s/f in executed lease agreements, including 449,000 s/f of new leases. The hard work of the honored brokers contributed to Rechler Equity maintaining the company’s high occupancy rates. Richard Cohen of Ashlind Properties was honored with two awards: The 2018 Broker of the Year and Industrial Deal of the Year. Both were in recognition of his accomplishment of finalizing a 148,000 s/f lease to Amneal Pharmaceuticals, LLC at 19 Nicholas Dr., Yaphank. 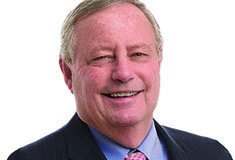 Office Deal of the Year was awarded to Gus Nuzzolese of Colliers International L.I. Inc. for Catholic Health Systems of Long Island, Inc. at 320 S. Service Rd., Melville. This lease generated an aggregate rental of nearly $6 million and now makes Catholic Health Systems of Long Island, Inc. one of the Rechler’s largest office tenants. Kyle Burkhardt and Josh Cohen of Cushman & Wakefield of Long Island Inc. received Innovative Deal of the Year for the lease of 200 Trade Zone, Ronkonkoma. Burkhardt and Cohen were able to negotiate mutually agreeable business terms for the 63,100 s/f lease that included an option to purchase. Cushman & Wakefield of Long Island Inc. won the 2018 Firm of the Year award not only for the number of transactions and the number of inquiries made in 2018, but also for its ability to negotiate a transaction fairly and equitably. Cushman & Wakefield completed transactions for 78,000 s/f of space. Michael Tucker of Daniel Gale Sotheby’s International Realty took home the award for 2018 R & D Deal of the Year for the lease of 20,000 s/f to Peerless Electronics Inc. at 85 Adams Ave., Hauppauge. Tucker negotiated a 10-year lease with an aggregate rental of $3 million. “Rechler Equity’s unprecedented successes continued throughout 2018, and it is only appropriate that we celebrate the triumphs of those who helped make it all possible,” said Mitchell Rechler, managing partner of RechlerEquity Partners.